Ask any bride-to-be and chances are she has thought of million scenarios about how her boyfriend will pop the question. Where and how it happens is very different for every couple. 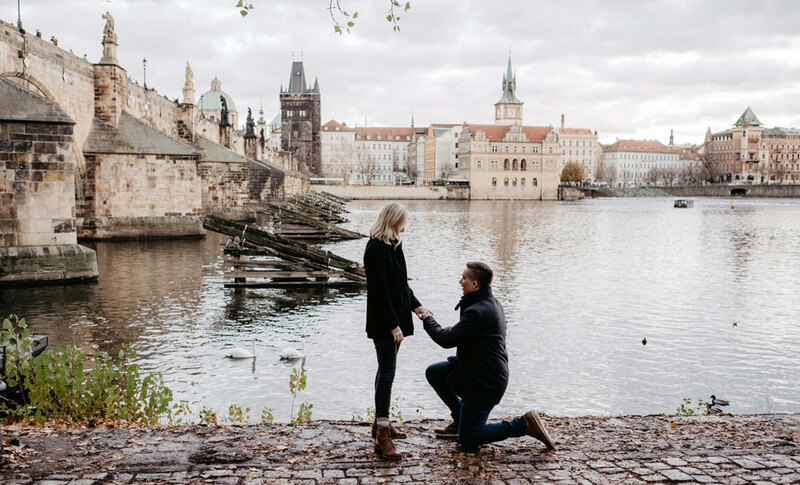 Although popping the question in front of the family is a traditional way to ask for someone’s hand in marriage, how about you plan something different and travel to one of the world’s most romantic places to propose? With the engagement season knocking on our doors, here’s a list of romantic places in the world to propose, that are suitable for every budget. 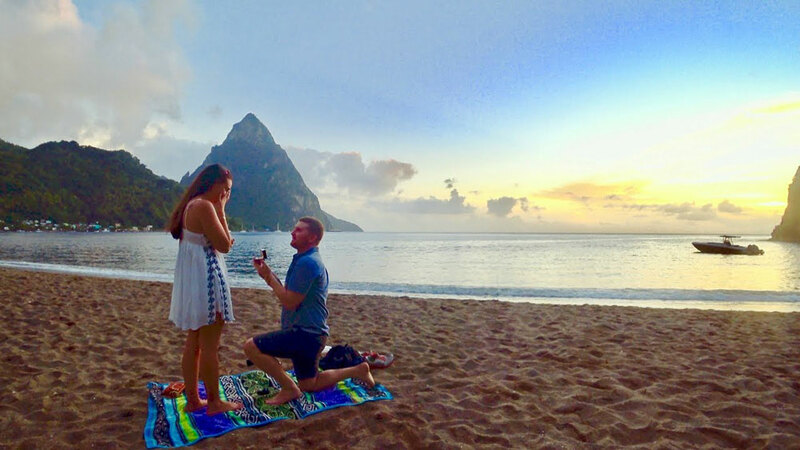 A perfect destination for an unforgettable wedding, Saint Lucia is also a romantic place to propose. The superb natural setting makes it a great choice for any couple who loves the beach. The hotels are more than happy to help you prepare your proposal, so don’t be shy to ask. Of course, you can always choose the simpler way and plan for a long walk on the beach, followed by a picnic and a ring, which magically appears at the bottom of the champagne glass. Now isn’t that a great idea! 2. Empire State Building, New York, U.S.A.
Chuck Bass’s (of the Gossip Girl Series) Empire State Building proposal might have not gone the way he hoped it would, but there’s no reason yours would have to suffer the same fate. In any case, first, make sure she gets there. 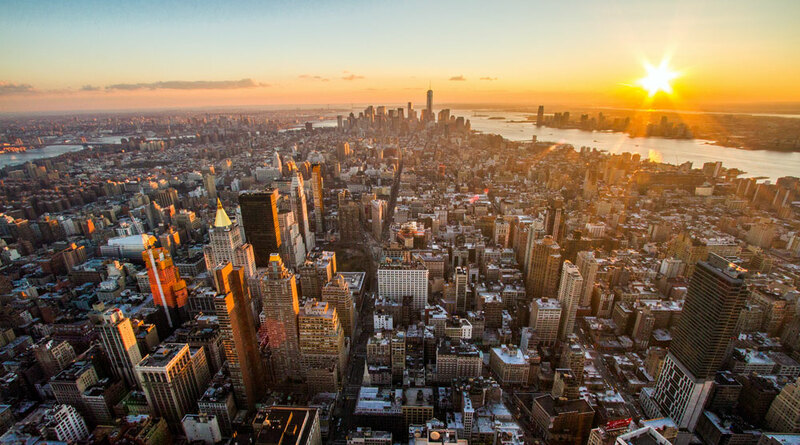 Standing 102 stories high, the Empire State Building has one of the most popular observatories in the world. Located at the 86th floor, the observation deck offers 360 degree views of the city. A completely enclosed, smaller observation deck is located at the 102th floor. Both are perfect romantic places for a proposal. There are special tickets available for couples and you can even plan your romantic proposal on days when a saxophonist ensures a romantic mood. The Mayan ruins are surrounded by an intriguing and romantic aura. Climb the 120 steps at Tulum’s pyramid and pop the question while soaking up the panoramic view. Then, take your fiance on the beach for your first dip as an engaged couple. 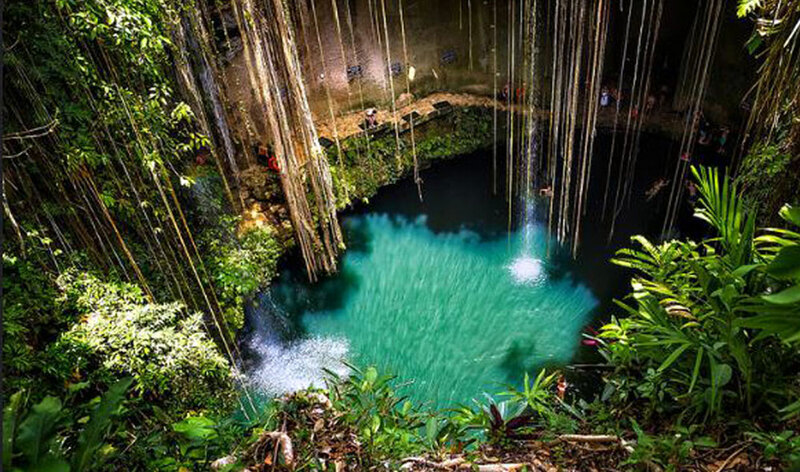 If ruins aren’t your thing, then explore the cenotes, located close to central Tulum. Thanks to the daily limit of visitors, you can make your experience special at Labnaha Cenotes & Eco Park. Plan to snorkel and pop the question underwater. 4. 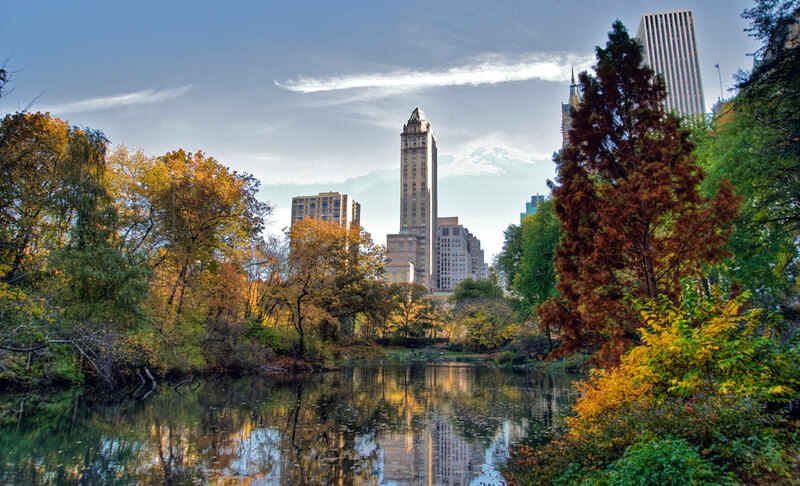 Central Park, New York, U.S.A. Romantic proposals in parks are quite common but no park in the world is as beautiful as Central Park. Stretching over a huge area, the park offers a lot of romantic places to choose from. If you want your beau to feel like a princess, plan the moment around Belvedere Castle. Or you can plan a carriage horse ride. If you want to pop the question during winter, then the Wollman Rink is a great choice. Plus, it’s super easy to hide your intention when you ask her to go skating on your date. 5. Havasu Falls, Arizona, U.S.A.
Grand Canyon is majestic and offers plenty of romantic places to explore. 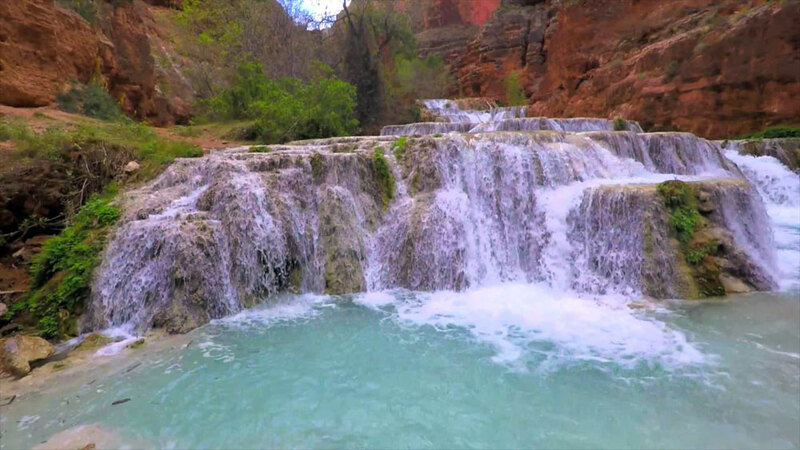 One of them is Havasu Falls, which happens to be the most visited and most famous of the falls along Havasu Creek. There are picnic tables available on the opposite side of the creek and it is possible to swim behind the falls. You can surprise her with the question as you swim and then celebrate with a lovely picnic (you have prepared beforehand). Since there’s also a campground nearby, you can plan all this as part of a weekend getaway. 6. 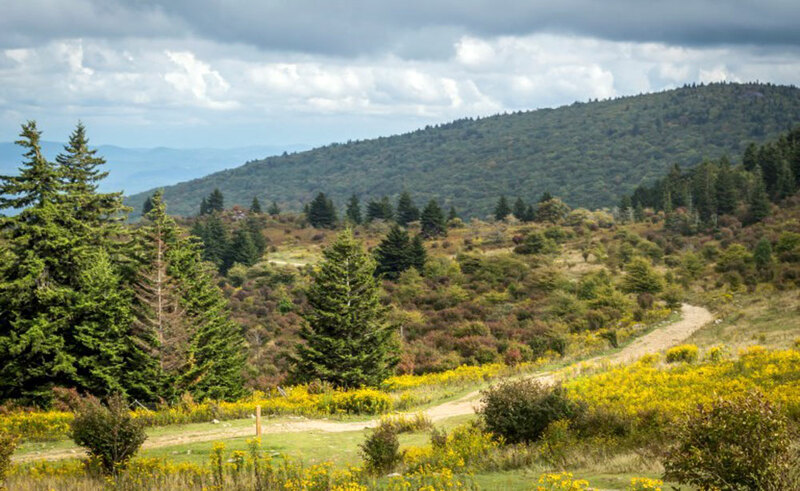 Grayson Highlands State Park, Virginia, U.S.A.
For those who love scenic views of alpine-like peaks, Grayson Highlands State Park is a great choice for a romantic place to propose. Take one of the hiking trails leading to waterfalls and stop at one of the overlooks to pop the question. 7. Golden Gate Bridge, San Francisco, U.S.A. 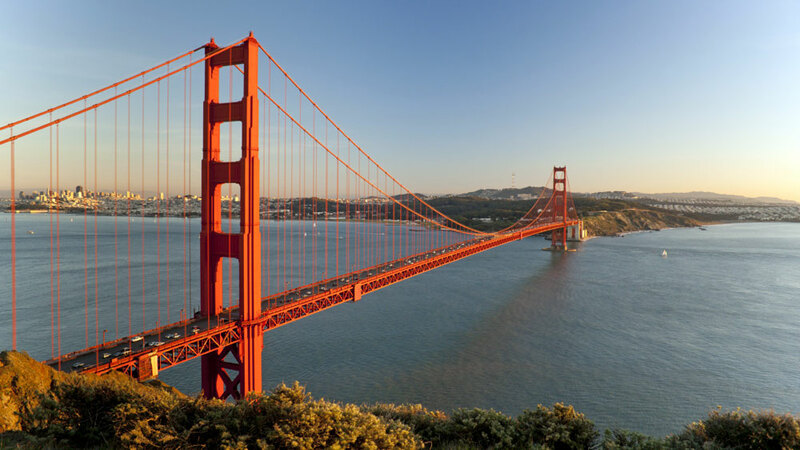 The Gold Gate Bridge is a very popular landmark in San Francisco and the sight of many romantic proposals. Whether you choose the overlook at Battery Spencer or Baker Beach, you will have the stunning bridge as a background for your photos. Rent a car and plan to spend at least half a day driving in the area and walking around. Selfies are a must, of course. Winters can be brutally windy, so plan accordingly. Located to the northeast of Kyoto, Mount Hiei stands 848m / 2782 ft tall. 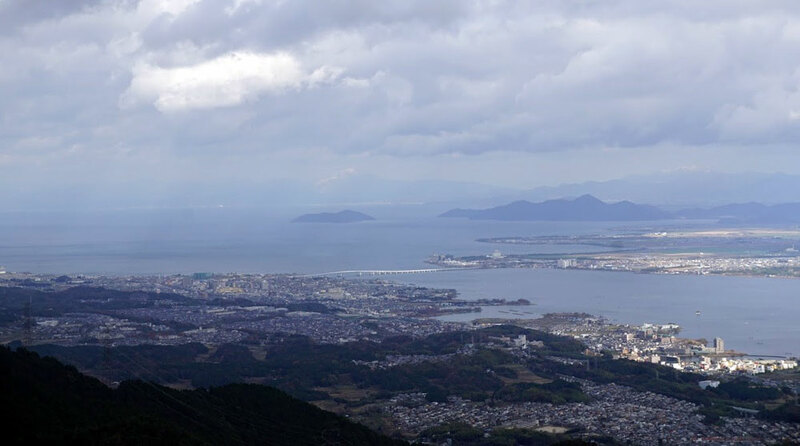 The mountain is well known for the incredible views over Kyoto, Ohara, Lake Biwa, and Shiga and for the temple complex of Enryaku-ji. 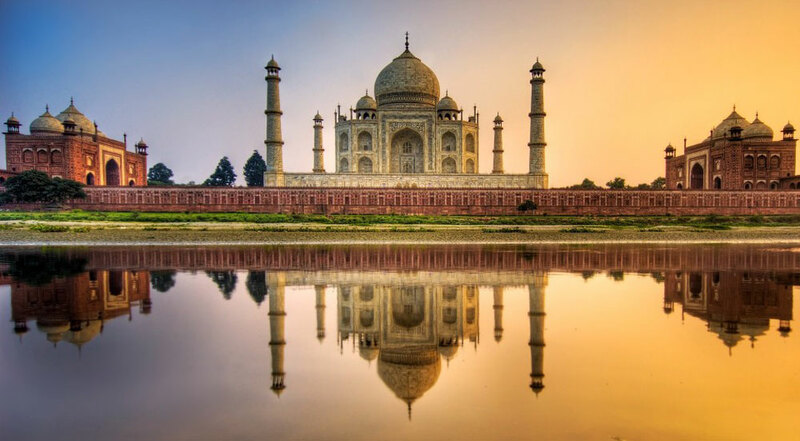 Taj Mahal was commissioned by the Mughal emperor, Shah Jahan, to house the tomb of his favorite wife, Mumtaz Mahal. A UNESCO World Heritage Site since 1983, the mausoleum is considered to be one of the most romantic places in the world and a great choice for a marriage proposal. You do need to plan for the very many tourists who visit the iconic landmark. Wake up at the crack of dawn and make sure you are at the entrance at 6 am (when it opens). Chances are you’ll have a bit more privacy than if you plan your visit for later in the day. 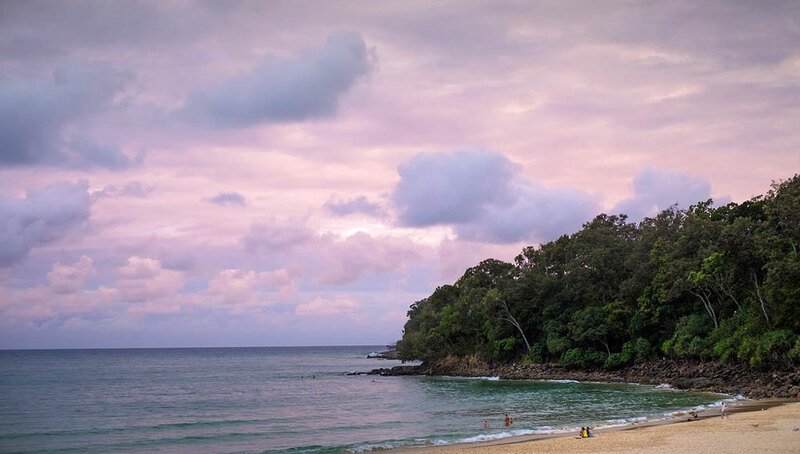 Located on the Sunshine Coast, just 136 km / 85 miles from Brisbane, Noosa Heads offers a lot of romantic places to propose. Take a scenic drive and stop somewhere along the way or choose one of the beaches for your magical moment. While Noosa Spit is a popular local picnic spot, the entire area is a world-famous surfing destination. Australia knows good wine and with wineries come the magnificent rolling greenery and cottages with wonderful mountain views. What better place to ask her hand in marriage than in front of a fireplace sipping wine? 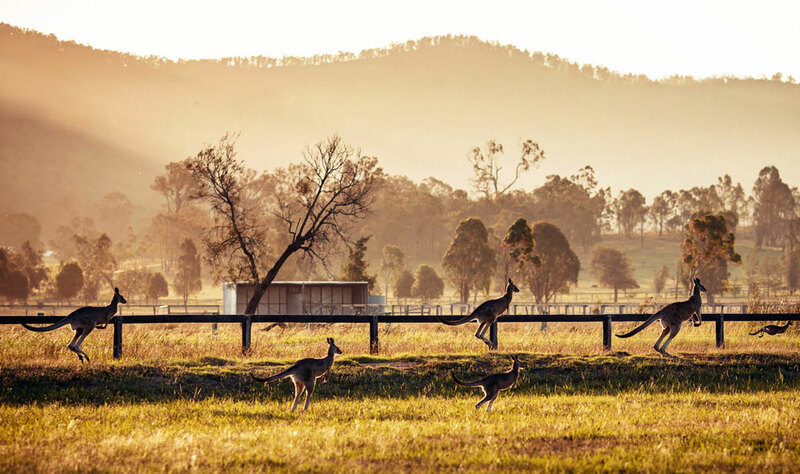 Although Hunter Valley is easily accessible from Sydney, it is one of those places where travelers go to retreat from civilization. Offering exceptional reds, this place is ideal if you are looking for privacy. 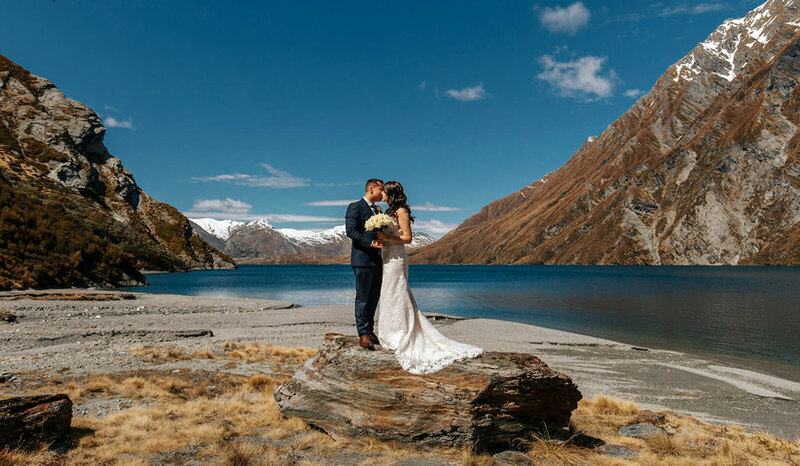 Many newlyweds choose to spend their honeymoon in New Zealand thanks to the country being known for the romantic places to explore. If budget is no issue, then plan for a hot air balloon ride over the spectacular scenery to ask her hand. For a more down to Earth approach, you can plan some hiking or trekking. There are a lot of trails close to the town and offering various difficulty levels. Probably one of the most romantic places in the world, Paris is always a good choice for a romantic proposal. 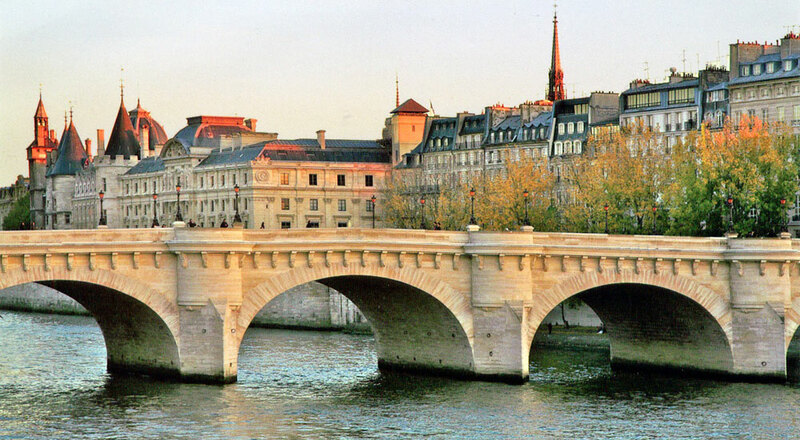 Skip Pont des Arts with its love locks and head to Pont Neuf for your special moment. From here, you can take a walk hand in hand on the banks of the Seine, only to stop for a croissant at one of the charming cafes. 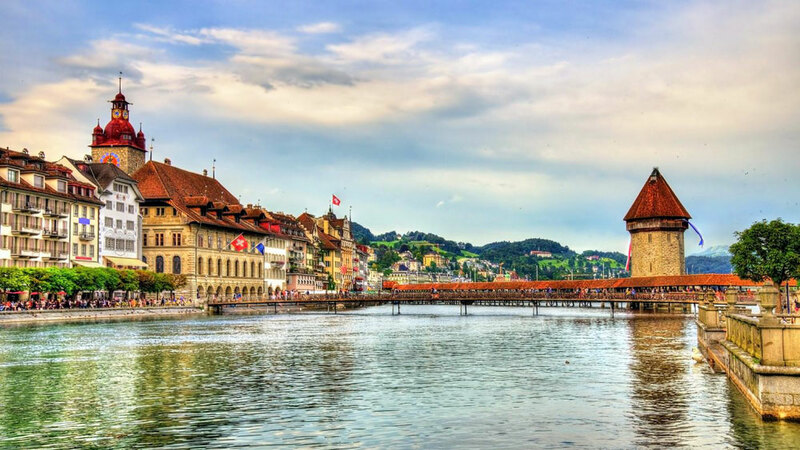 Lucerne is a small town in the heart of Switzerland, easily accessible from both Zurich and Basel. Plan for a day trip and, while you are on the Chapel Bridge, surprise her with a marriage proposal. Then, you can walk hand in hand and explore the beautiful preserved Old Town and celebrate with incredible amounts of Swiss chocolate. Venice is one of the most romantic places to propose in the world and even if you skip the oh-so-touristy gondola ride, there are a lot more interesting things to plan. By all means, visit the important landmarks: St. Mark’s Basilica, Piazza San Marco, Rialto Bridge, and the Grand Canal. But for the special moment, plan a trip to one of the islands in the lagoon. Murano and Burano are very well-known among travelers but Chioggia – a miniature version of Venice – can offer a great place away from the crowds. Shakespeare fans have all the reasons in the world to head to Verona and make it the scene of their romantic proposal. Although the writer never set foot in Italy and Juliet’s balcony is not the real balcony either, there’s something romantic about Juliet’s house. And yes, it’s a major tourist attraction so you will have to wake up at the crack of down unless you want a lot of witnesses. The Eternal City has an incredible romantic aura. Whether you want to kneel on the Spanish Steps or in front of Trevi Fountain, be sure to get there early to avoid the crowds. Unless you want a lot of witnesses, that is. 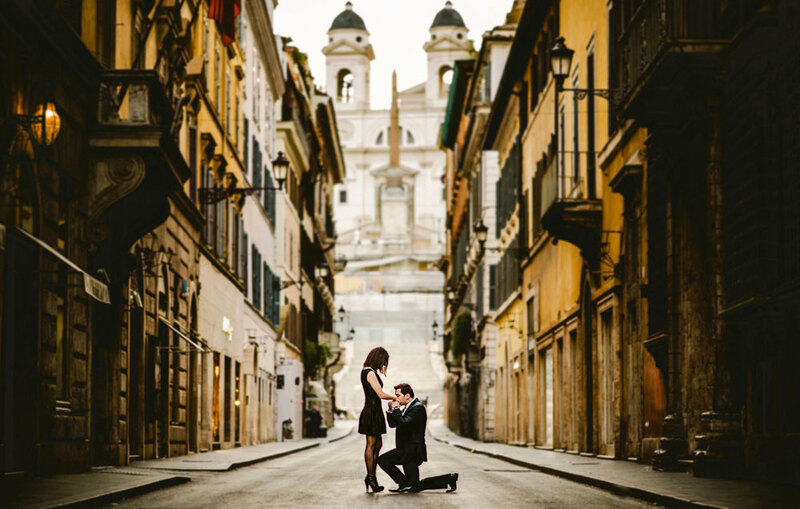 Or you can plan a sunset proposal at Gianicolo, with a stellar view of Rome before you. For a quieter place, walk slightly further from the belvedere and stop on the steps of the amphitheater Quercia del Tasso. The views are equally amazing, but the crowds are non-existent. 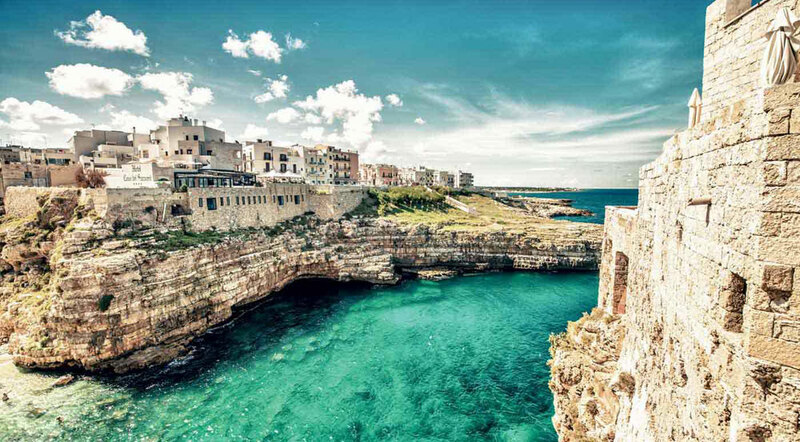 Apulia (Ita: Puglia) has been emerging recently as one of the most sought after destinations in Italy. And with good reason, since the area is absolutely stunning. While Alberobello is no longer a secret – and the tourists visiting surely prove that-, for a less crowded experience, once you get to Bari, head towards Brindisi and stop at Poligano a Mare. The city sprawls on the cliffs overlooking the Adriatic Sea and with just a tiny place to explore, you can easily rely on your feet. For the special moment, pick either the narrow streets of the Old Town or the rocky beaches. This compact Medieval Town recently got a lot of attention – and prices to match – due to the Games of Thrones being filmed here. 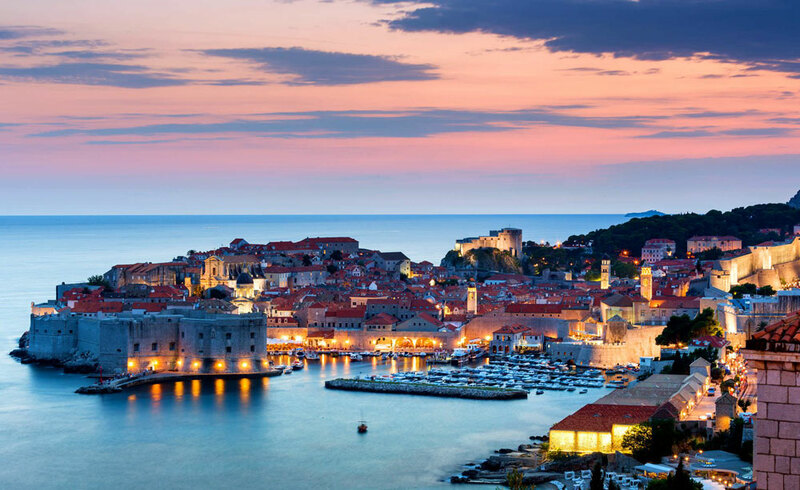 Whether you just love European walled cities or are a fan of the series, this superb Croatian town is a great choice for a romantic place to propose. If budget allows it, you can rent a yacht and pop the question as you are looking at the city from the Adriatic Sea. Or you can take a more traditional approach and plan for a picnic on one of the town’s beautiful beaches. Good bye, London Eye! Hello, The Shard! 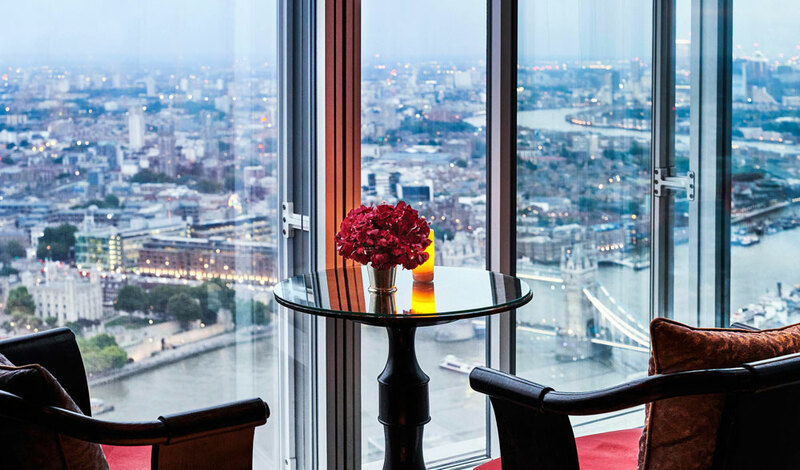 If you love London as much as we do and you think it is a romantic place to propose, then look no further than the newest place to see the city from above: The Shard. Standing 309.6 m / 1,016 ft high, it is the tallest building in the UK and the fourth tallest in Europe. The observatory (The View from the Shard) is a great place to pop the question, with stunning views of London as background. For such an event, you can book a Champagne Experience and wow your significant other. Straight out of a fairy tale, the world’s biggest ancient castle is an amazing place to propose. Plan your visit for winter, when chances for snow will be high, making everything look even better. You can then celebrate with a walk on the famous Charles Bridge and have your portrait painted by a street artist. If you prefer selfies, be sure to be on the bridge for sunset, as the light offers an incredible background for any photo. The iconic white-washed houses and blue domed churches make Santorini a picture perfect location for any trip. 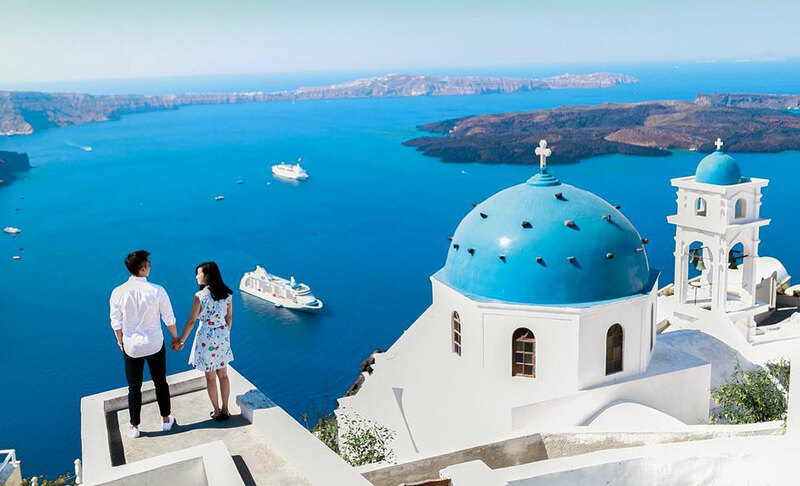 Whether you plan a honeymoon on the island or you want to pop the question, Santorini’s Oia village is where you want to be. This eye-cathcing island in the Cyclades is served by an airport, but you may want to arrive by boat and be stunned by its sheer beauty. For a gorgeous proposal, look into renting a yacht and exploring the area around the island. Or you can ask her while you watch one of the lovely sunsets and sip some local wine. Petra by day is an overwhelming experience, but the site at night is breathtaking. Candles guide visitors all the way to the Treasury. It is a magical place to pop the question. 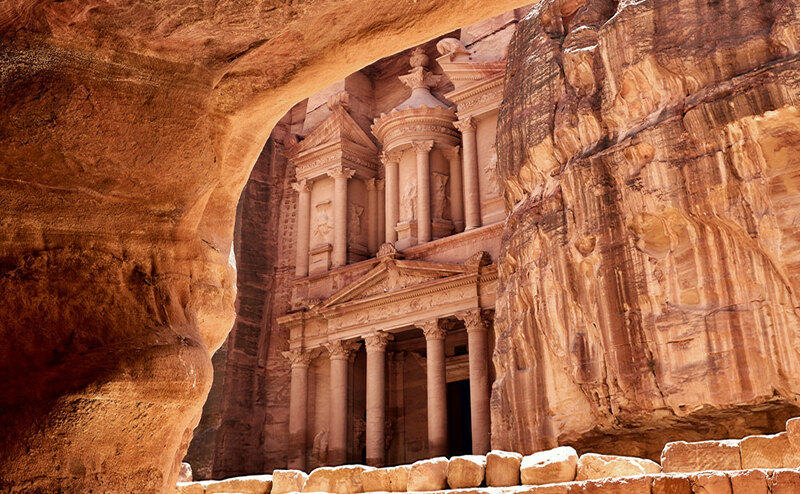 Petra can be visited by night on Mondays, Wednesdays and Thursdays during a tour. As part of it, there will be a live performance by local musicians. Once that’s completed and the crowd starts to dissipate, stay behind. Take your beau’s hand and go in the center of the square. Now it’s the time to make it happen. 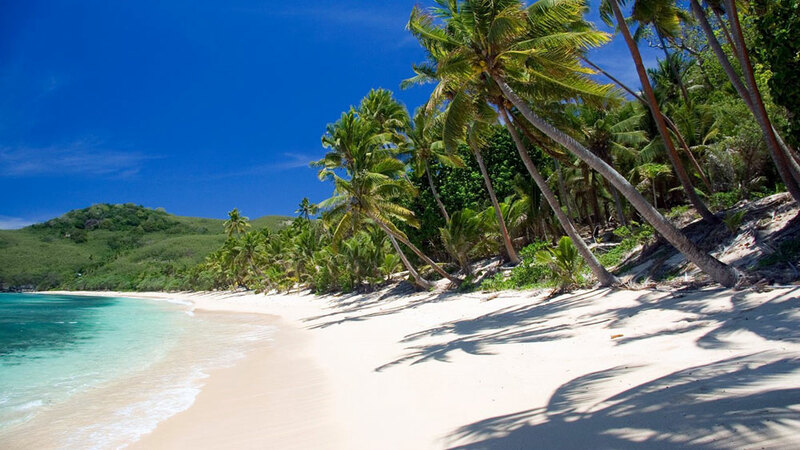 Honeymoons in Fiji are among the most sought after among newlyweds but these wonderful islands in the South Pacific offer excellent romantic places to get engaged, too. Your best bet is to look for a deserted beach. The white sand and the blue waters make for perfect background for your photos. Plan a picnic with champagne, tropical fruits and, of course, the ring. 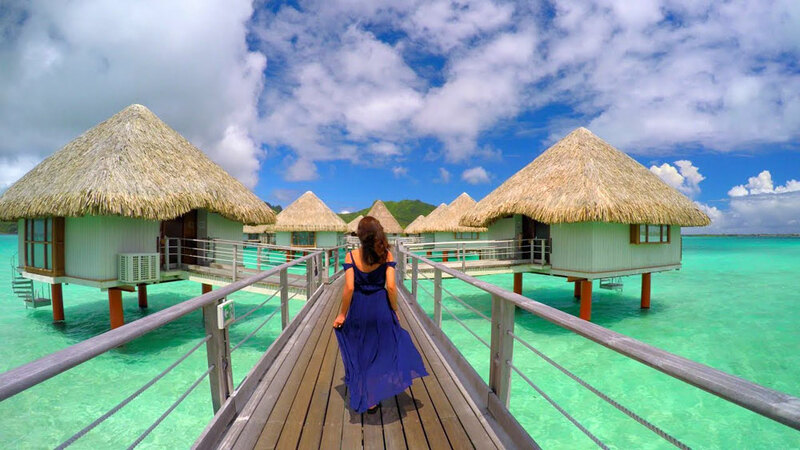 Bora Bora is the place to go for a romantic escape. And it also an amazing romantic place to propose. If you are an active couple, then hike to the top of Mt. Otemanu and soak up the amazing views while you pop the question. Do you want to just relax and soak up the sun? No worries! Plan to ask her on a clear night while you go stargazing. Spend the night camping on the beach.